Pretzels come in many shapes and sizes, from the giant to the tiny. They can be hard or soft, and sweet or savoury. 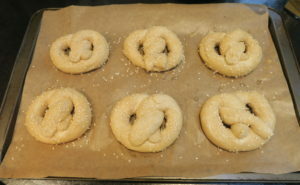 A pretzel is basically a bread dough twisted into what is known as the ‘pretzel loop’, briefly boiled similar to bagels and glazed before baking for a shiny effect. They are popular in Europe, Germany in particular, and the USA. I’d actually never eaten a pretzel before I made them from scratch myself as they’re not very common in the UK, but now I’m a huge fan! 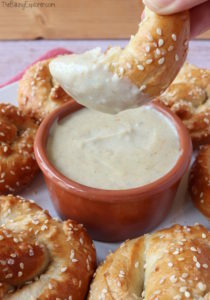 I love these Soft Pretzels with Cheese Dip as they are salty, chewy and absolutely moreish. However I do also love a sweet pretzel dipped in Nutella and you can easily adapt this recipe to make sweet pretzels too! 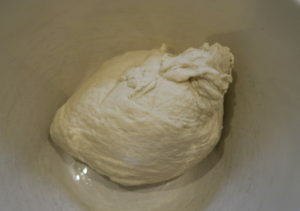 I started my mixing the strong white bread flour, salt and fast action yeast together in a large bowl. I added the milk, water and oil and made it into a dough. Then I kneaded the dough in my mixer for 10 minutes. You can also knead by hand of course. 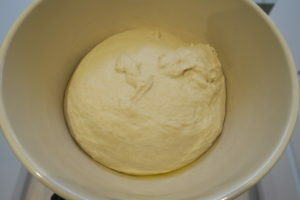 I put the dough into an oiled bowl and left it to rise for an hour in a warm place. After the hour was up, I knocked the dough back on a floured surface, then cut it into 12 even pieces. I rolled each piece out into a long, thin sausage about 18″ long. 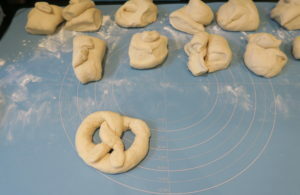 To make the ‘pretzel loop’ I crossed over the two ends, then twisted them around and brought them back on each other, and secured them by pressing gently. 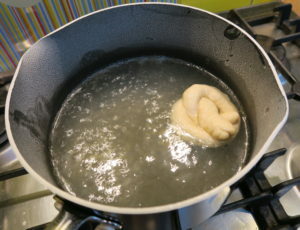 I then boiled each pretzel for 20 seconds in the water and bicarbonate of soda. I placed them onto the baking tray, gave them and egg wash and sprinkled over sesame seed and rock salt. They baked for 20 minutes until they were golden. 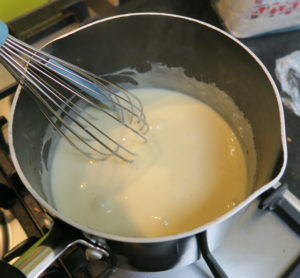 To make the cheese sauce I made a rue, then added milk and heated the mixture until it thickened. Then I added my favourite cheese and some smoked paprika. 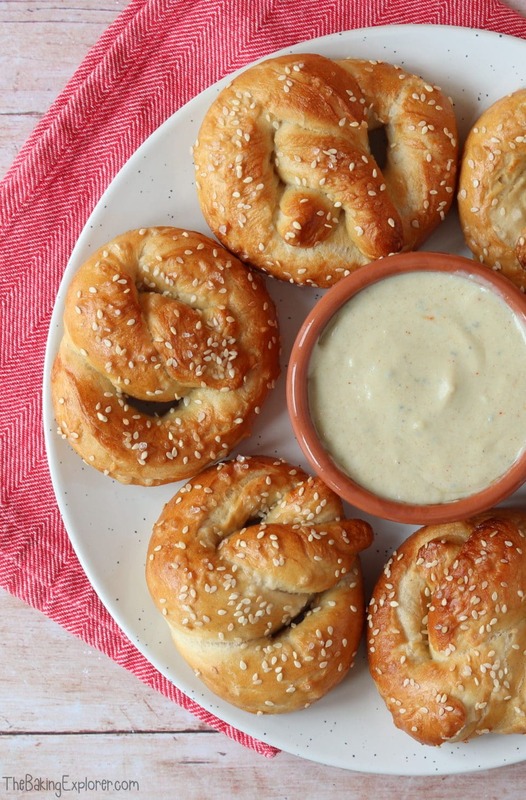 These Soft Pretzels with Cheese Dip are chewy, salty and delicious. Dipping the warm fresh pretzels into the hot cheese sauce was absolutely heavenly! Soft Pretzels with Cheese Dip would be perfect as a party snack, or any gathering where you can sit around the bowl of cheese and dip until it’s all gone! For sweet pretzels, egg wash and bake the pretzels, then when they’re hot from the oven brush with melted butter and sprinkle with cinnamon sugar – dip in warm Nutella!! If you want to make sweet pretzels! You can find more of my Bread recipes by clicking here! These look great Kat. I dont think I've ever had pretzels before but I'm tempted now! Are you going to the Xmas markets soon btw? Thanks Sarah! 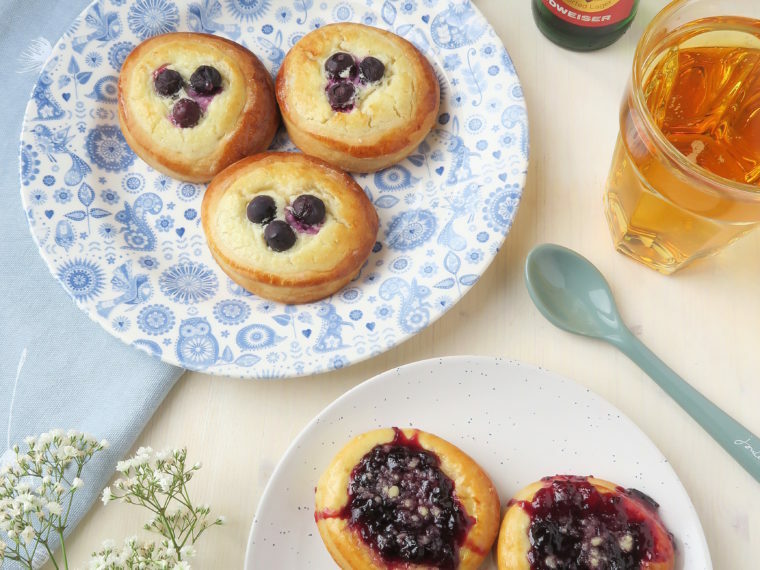 There are so good, especially with chocolate spread! I went today actually but they were so busy I didn't even buy anything though. Chocolate spread… yum!! I'm back home briefly this weekend and hoping to try and get to the markets. Will let you know if I manage it!